Triple Layered PVC Wiring Cables with HFT Technology, manufactured in conformity with ISI standards at an ISO 9001, ISO 14001 & OHSAS 18001 certified manufacturing plant, V-Guard wires ensure triple protection for every home. The high quality online annealing prevents breaking of the copper strands when bent or twisted, making V-Guard wires protect homes like nothing else. A combination of safety and efficiency increasing human habitation has brought a lot of people and families living closer to each other within a single housing or commercial complex and therefore the need for cables to be safe and efficient is paramount. 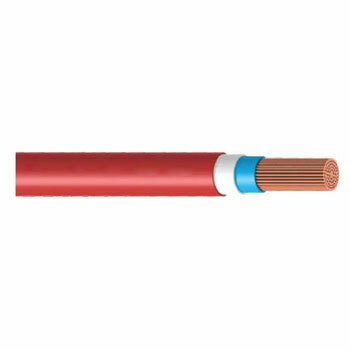 The V-Guard FR- LSH cables are made from specially formulated PVC polymers that restrict the toxic gases and smoke and are therefore safe, reliable, and flame resistant and a non-toxic alternative. These non-toxic cables have been built keeping in mind the safety of the users and giving it utmost priority. Cables for wiring in fire and explosion prone areas, chemical factories, densely wired areas, public buildings, schools, hospitals, commercial complexes, theater, etc. Colour: Red, Yellow, Blue, Black, Green, Grey & White.